Could AI Teach You To Be Fluent In A Second Language? So, Artificial Intelligence is being promoted as a technology which could help automate many things such as cars, airplanes, boats, bus, businesses, and so on. Nonetheless, I’m hoping to see someone develops an AI app for personal uses such as helping one learns a second language! Imagine how awesome it could be if an app is an AI which could teach you how to speak Chinese, German, or whatever language you wish to learn. I imagine that this AI app could talk to you, correct you, and communicate with you until you become fluent in a foreign language! Why stop there! Imagine that someone could also develop an AI app to teach children math, physics, history and so much more. I think AI could excel at promoting education. With AI I think children could learn more efficiently and the schools may be able to free up school resources for other important agenda. Of course, you never know that AI could eventually transform the role of a school into either something else entirely or the school could cease to exist altogether. If your children and adult friends could learn just about anything through the AI interaction — why bother wasting resources in funding a school? As 21st century moves along, I think education will eventually take up a new shape. The future is here, because new technologies in communication and learning keep on happening. This means in the future children and adults alike will have more choices of how to go about learning something. Furthermore, artificial intelligence may just take over the teachers’ job one day, because new information can always be fed into AI’s algorithms that could be helpful to how teaching would be done in the future. Of course, I don’t think futuristic educational system would bring education into only homeschool situation. In fact I think without real interaction among real human fellow students, no matter how excellent a futuristic educational system could become the students would not be able to excel. I think students’ cooperation in activities such as teamwork is very important, because besides learning just facts students could enhance real life experiences such as how to help each other out in completing a project and whatnot. Still, I think the futuristic educational system might be very different than what we have now, because robots will be able to communicate with humans as if they’re human. Thus, robots with super intelligent artificial brains could become both teachers and fellow students to help human students learn better. While we think of the positive possibilities of a futuristic educational system, we should also take a closer look at what we’re having now. I think the current educational system may not be able to do a good job in preparing the students for an even faster, ever changing future. As we speak, many forms of communication allow messages and information to transform the world at breakneck speed. If we throw in the futuristic artificial intelligence aspect, the future might very well be operating at a faster speed than now. Right now though, the current education system isn’t fast enough in updating educational courses to stay relevant with time. Thus, students can only learn what had happened and won’t be ready for a totally different future. I could be exaggerating a bit, but what if whatever students learn right now could not help them find a job when they’re ready to enter the workforce? Perhaps, what they are learning right now could be outdated in a few years, and nobody could help them when they are ready for the job market. As earth population size increases and communication becomes even faster, the competitiveness of the world workforce can only be increased. This means more people are going to compete for the same skills and jobs. Jobs are finite, and so not everyone will be able to bring the bacon home. Without a proper education, such a population will be missing out in competitiveness. When we throw artificial intelligence into the equation of tomorrow, the probability of finding a good job in the future would be shrunk to many times more. After all, artificial intelligence could provide efficient and smart automation, and these capabilities could outperform the human touch. In my opinion, as time ticks along, I can see a future where humans would face so much competition that without a proper education the situation could only become ever more severe. Nonetheless, no students would be able to get proper education if the education system of today can only be so static. Furthermore, if teachers of today are not being paid adequately, the breakdown of the current education system is already at a critical juncture. Of course, the future will come eventually, but don’t we also have to worry about right now? Thus I think besides providing a good education, the people who are striving to make the education better such as teachers should be receiving a very good care and pay from the education system. 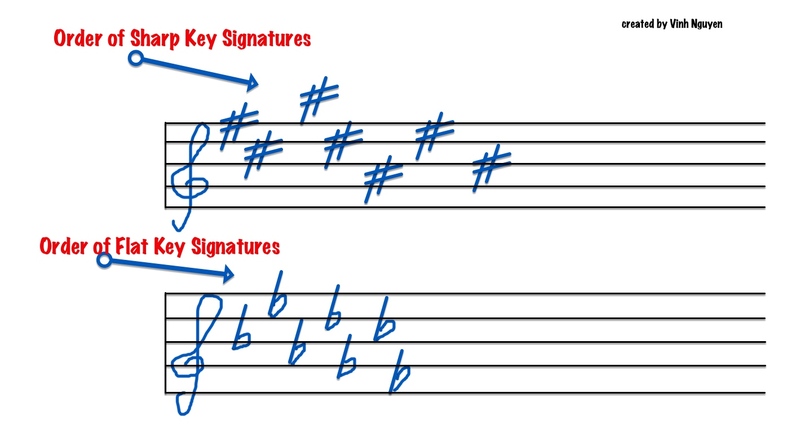 What are key signatures in music? According to my absorption on this topic as I’m trying to learn music theory, key signatures help musicians to remove the clutter of accidentals in a music sheet when writing music notes. Furthermore, knowing how to read key signatures helps musicians reading the accidentals on the music sheets that use key signatures. So, instead of writing in every sharp and flat there is into a music sheet, a musician can use key signatures to tell other musicians to read his music sheet’s accidentals through key signatures. By knowing key signatures on a piece, one will also know the scale type which one should play when reading a music sheet that uses key signatures. For an example, let’s assume you know or remember all about G major scale, and by knowing G major scale by heart you know that this scale only has one sharp in it. Furthermore, let’s assume you also know this G major scale has only one F sharp (accidental) in the whole scale. So, by knowing these info, whenever you see a starting of a staff that uses key signature pattern of only one F sharp, right away you should know that you are playing a G major scale section. Some musical sheets of whatever musical piece may change key signatures and scales throughout the whole musical piece. Thus, one needs to be careful in reading key signatures in order for one to know when to play what accidentals of which scale at a specific section of a musical piece. First rule, key signatures of a pattern of sharps or flats will always be in the same order. OK, you probably scratch your head already. No sweat, and here is the explanation. Follow this simple exercise and you shall know the answer. Take a look at the piano’s keyboard layout (get a piano’s keyboard layout through the Internet), you need to count how many sharps there are in the whole G major scale starting from the G musical note. If you are doing it right, you see that there are only 7 sharps. If you count backward from the last G musical note to the first G musical note (i.e., GFEDCBAG), you should see there will always be only 7 flats for G major scale. Guess what, there will always be 7 sharps and flats for all scales. How come? It’s all because we use the half step rule. As we all know, whenever we do a half step down, we are lowering the pitch by half step to create a flat. Same thing goes for sharp, we make a sharp whenever we raise a pitch half step up. Although a specific scale, except the C major scale, would have different accidentals in specific key places, the half step rule would always be successfully turned any key within a specific scale into a flat or sharp. Since now we know that there are always be 7 flats or sharps in all scales, we can safely assume the order of these flats and sharps can never change, because these flats and sharps in any scale don’t have feet to move around the piano’s keyboard. Thus, the first rule — which states the order of the pattern of sharp or staff will always be the same — is sound. Second rule, you cannot mix the flat and the sharp key signatures together in a key signature pattern for a section of a staff. Take out a blank sheet of paper and draw a five line musical staff. Create a Treble Clef (ignoring time signature symbols as we don’t need them in this exercise). We will draw in the key signatures in the staff later. On the very top of the blank sheep of paper you need to write out the key signatures’ sharps and flat patterns (i.e., BEADGCF for flat key signatures and FCGDAEB for sharp key signatures). If we play the G major scale on a piano’s keyboard layout, we know that there is only one F sharp as our accidental. Draw the #F (F sharp) onto the five line Treble Clef staff which we had drawn out onto our blank sheet of paper earlier. The #F sharp should overlay the 5th line of the five line staff, right? If you remember your music theory correctly about the staff, the 5th line is the very top line of the five line staff since we’re counting the lines and spaces from the bottom up. Next, we need to play the D major scale pattern out on the piano’s keyboard layout, and by playing out this pattern we know that there are 2 sharps in D major scale. These sharps are #F and #C. Instead of repeating the drawing of #F sharp onto our five line Treble Clef staff, we ignore the #F and draw down the #C onto our five line staff. The position of the #C should be above the 3rd line of our five line staff, and so this means that our #C is sitting in a space which sits between the third line and fourth line of the staff. Next, we need to play the A major scale pattern out on the piano’s keyboard layout, and by playing out this pattern we know that there are 3 sharps in A major scale. According to our FCGDAEB for sharp key signatures, we know the 3 sharps are #F, #C, and #G. According to how we play out the A major scale on our piano’s keyboard layout, we confirm that the sharps are #F, #C, and #G, but of course when we play these sharps out in A major scale in the piano’s keyboard layout, these sharps are not going from left to right or vice versa in order. Nonetheless, if we draw out these sharps in our five line Treble Clef musical staff, we know that we don’t have to repeat the drawing of the #F and #C, because we’d drawn them earlier. The only sharp for the A major scale that we need to draw onto our five line staff is the #G. You should draw your #G in the space above the 5th line of the five line staff. We can go on with the exercise of the rule #3, but it would be tedious. By going through the exercise that I created for rule #3 earlier, we now see the pattern of why the key signatures for sharps are always in the order of FCGDAEB. Thus, if we had completely done the whole exercise through and through, we should be able to reverse the order for sharp key signature pattern into flat key signatures pattern. Anyway, check out the orders of flat and sharp key signatures on Treble Clef staves right after the break. I don’t know if I’d missed any rule in regarding to key signatures or not, but the 3 rules I listed should help you a lot in knowing how to identify key signatures. So, the next time we read a music sheet that got sections rig with key signatures, we know that whenever a music note — that is not being labeled with accidental symbol but matched a key signature — is an accidental instead. For an example, if we see #F (F sharp) key signature, we know we have to play #F no matter what even if we see a music note is F natural in a section of a music sheet. I know it’s hard to remember the patterns of key signatures for sharps and flats, thus mnemonic trick should be used to help you remember how to recall these key signature patterns. For me, I only need to remember the flat key signature pattern, because it’s easy for me to remember the flat key signature pattern and then reverse the flat key signature pattern into the sharp key signature pattern. Flat key signature pattern is [BEADGCF], and my mnemonic for it is BEAD Greatest Common Factor. Nonetheless, you should come up with your own mnemonic for the flat key signature pattern so it will stick in your own memory better. In the next music theory blog post, I’ll touch on the Circle of Fifths, because this is one of the formulaic methods of helping us easily to correlate the key signatures to a scale. Basically, if one knows how to use the Circle of Fifths, one should be able to see what keys are being sharpened and flattened in which scale in seconds. Thus, Circle of Fifths will help us name the scales such as G major scale when seeing the key signatures in place, quickly and easily! In summary, knowing key signatures helps a musician to read and play accidentals on a music sheet that does not spell out each individual accidental. Furthermore, knowing the key signatures’ position and pattern and the number of key signatures in place helps a musician to know which scale he is playing in. Knowing which scale is important as it helps a musician not to lose his place on a music instrument. Unglamorized kind of announcements such as the forming of edX, partnership of Harvard and MIT which strives to form superb online education platform, might push the civilizations around the world one step further. Through edX, Harvard and MIT will provide free online courses, but these online courses will not be construed to be different than offline courses. According to Technologyreview.com’s Harvard and MIT Offer Online Education for Free article, students who take courses through edX will get certificates of mastery for their efforts. In my opinion, technological advancements of today such as the Internet has forced well known educational institutions come to grip with their outdated education models. If they fail to reform their traditional education models, eventually the technological advancements that are inherently carrying high potential of pushing the world civilizations forward such as the spreading of education through the Internet will gradually overtake the prestige role of passing the knowledge from traditional education institutions that we are so highly praised in the past and now. To stay relevant and continually promoting their highly regard brands of education, traditional education institutions such as Harvard and MIT probably know that they have to take the early initiative in bringing education to the mass, using the best transformative, technological education-advancements, otherwise they will appear to be outdated, lacked of insight and transformation. Furthermore, I think the experimentation of edX will eventually allow many more education institutions to perfect their art of spreading the knowledge through the use of transformative, technological education-advancements. Eventually, education institutions will have an effective online education platform that might be profitable to them in an enormous scale, a scale which they probably have never had witnessed before. It’s to be naive to think that knowledge should be free, because the truth often tells us that it isn’t so. Of course, we love the idea of superb knowledge and all types of knowledge should be free, but someone will always place a price tag on just about anything. So, edX is free for now as an experimentation, but will it be free tomorrow? Nonetheless, to be fair, I’ve to say education institutions need money to support their existences, therefore it’s understandable that one day their altruistic online education models will forgo the free online courses. In conclusion, edX and similar transformative education initiatives will push world civilizations forward, and one day, far into the future, people will look back and say that today efforts might have similar effects to what had contributed to the ages of enlightenment. Noticing how I had used ages of enlightenment in plural form? Well, I think in the past, there probably had been many ages of enlightenment, but we are now only remembering the most recent one. Afterthought: Come to think of spreading the knowledge through the Internet, maybe one day we will see the Internet as a reference point of knowledge, but local communities will form their unique education groups that encourage students of the world to meet up and learn from the materials that made readily available from the Internet (of course through highly reputable online education platforms such as edX). Perhaps, one day classrooms will not be traditionally concentrated in particular cities, but local communities will be the place to go to share knowledge. Still, highly praised and organized education institutions’ campuses will still forever be the places to get even more serious in learning. Which Kind Of Children Books Is Better For Children, Children eBooks Or Not? How effective it’s to give children the first impression of books through electronic devices such as iPad? It’s the question I’m curious about! In my opinion, exposing children to children literature early is a very good thing. I think if children is familiar with books early, they might become literate early. Perhaps, by becoming literate early they might attune to education better as they grow up. By the way, contents do matter, so don’t just pick any children book. I think children should read books that are meaningful — messages within have to be emphasizing on good morals. Anyhow, exposing children to books at early age is quite important if one takes the same perspective as I have had. The question is, can electronic devices such as iPad be effective in exposing children to books (i.e., eBooks)? Perhaps, electronic devices such as iPad might be too distractive, therefore it might not be effective enough in exposing children to books? The fear is that children might go for pretty graphics, therefore video games on tablet devices might be something they might want to play with instead of learning how to read. The exception would be video games for children that encourage reading, because such video games might teach children how to read after all. Anyhow, my opinion is that we should introduce real books to children at early age, and then as they grow up they can explore more books through electronic devices such as iPad (i.e., eBooks). The idea here is to get rid of distraction, but stimulating enough so the children won’t shy away from reading at early ages. Perhaps, parents should show high levels of excitement in children books in order for the children to show some enthusiasms in reading children books. I’m not sure, but colorful children books might not be a bad idea as long the messages within are meaningful. Boring meaningful messages might not be stimulating enough, therefore children books might need to be somewhat exotic to expand children imagination, in a good way of course (i.e., turning boring but positive messages into exciting messages). In the end, I do not know the effectiveness of exposing children eBooks to children at the early age, because I’ve yet learned or read of a study which tackles this subject. I do know though, the time before eBooks, children had always been exposed to regular children books (i.e., not children eBooks). The question I’ve been curious of is which children book form is better in term of enticing children to read early, children eBooks or children regular books (i.e., made from papers)? My intuition tells me that children should be exposed to regular children books first before they old enough to read eBooks. What do you think? You Might Not Think So, But I Think Math Really Does Exist! Forbes’ article “Does Math Really Exist?” tries to discredit that math isn’t universal, but it’s more of like a tool which humans might have created for our own conveniences. I think otherwise. Although I’m not a mathematician and my math skill isn’t great at all, but I think math is a universal language. 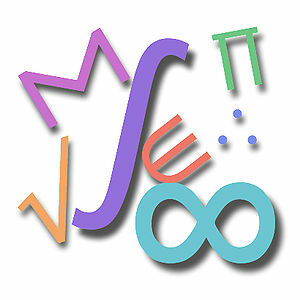 Sure, the aliens might not use the same symbols to represent math, but I’m sure they might understand the same concept. For an example, for a spaceship to behave and be bound to gravity of this universe, black holes to behave the way they do, and other stuffs within this universe down to the smallest scale such as quantum state, I’m pretty sure even the aliens might still need math to figure these things out just like we do. Of course, these aliens might not exist or might not exist within this universe, and so math might not really exist within their universe and their physics might be totally different. Now, if these aliens exist within this universe and they don’t do math, I think they don’t stand a chance in finding us first. Perhaps, in this context, we might find them first! I’m sure you think the talking of aliens is rather crazy, but I just want to say that if the aliens exist, I’m sure they too might want to think up their own concept of math. Nonetheless, no matter how strange the aliens’ math might be, the mysterious universal truth of math might force the aliens to come to term of 1+1 is still equating to 2. I think in this way, each on one’s own math (i.e., applying cosmetic effects to math) likes to think math is just an innovation, a tool or so. Nonetheless, when a being thinks evermore prudent, such being might see that math isn’t just a tool since underneath of it all there is that mysterious universal truth of math. Furthermore, underneath of it all something else must be presented in order for math to appear genuine. For an example, math can be applied to music, physics, and so much more, but in each context math has or had to be used to explain something underneath of it all. Perhaps, the aliens might never know what music would be like, but they might use their math to explain and enhance their own hobbies. That is, the hobbies that require the universal truth of math. To argue further, I think math has always been a universal language. How? If we try to simplify this further, we can see that even humans with different cultures yet have come to agree on math and not of writing systems or spoken languages. If one says 1+1 = 2 in our own writing system and language, and yet somewhere in this world our human brethren who have their own unique writing system and spoken language can still understand 2 is 2 and no more or less. If math doesn’t exist, why do we even want to differentiate it from writing systems and spoken languages? Sure, it’s an irony that we humans try to use different writing systems and spoken languages to represent the same things, and yet we cannot do so with math? (I mean this in the very basic sense. For an example, 1+1 = 2, always. And not how we should use different math theories to arrive at the same solution.) I’m sure philosophically, we humans like to arrogantly think that we create math, but I’m sure math’s mysterious universal truth (i.e., math itself) had existed since forever. In my opinion, math probably came into existence since the very first atom was formed right after the big bang. After all, there must had been a very first atom which came into the existence within this universe, or else we would never be able to understand how we got the idea of what came after that first atom, right? In the end, I like to think humans as explorers who had discovered the island of math, and the existence of this island had forever been there since the dawn of time.